I had a glorious day off yesterday for P's 6 month vaccinations. She handled them really well and I got to enjoy the whole day off with her, Finn and some girlfriends. 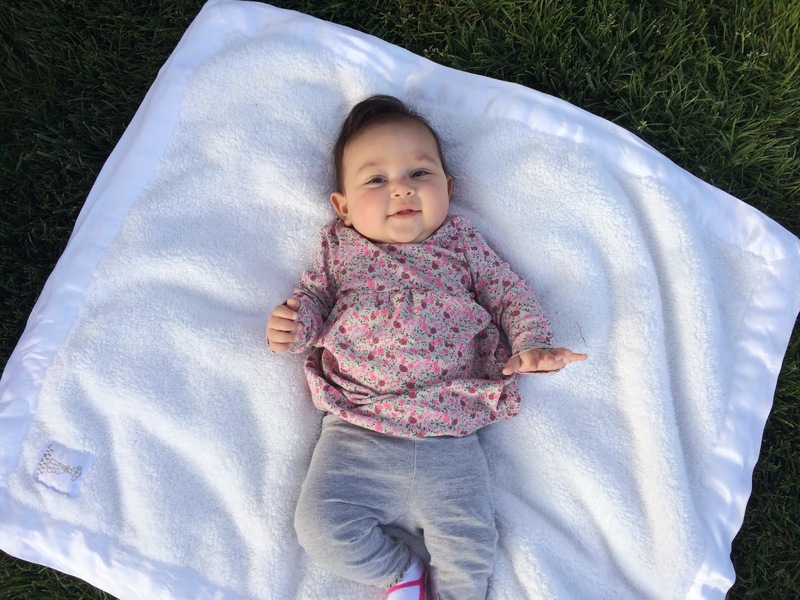 I'm talking Nordstrom, coffee, park and then making and trying Presley's first food! Sweet Potato: Preheat oven to 425. Wash and dry potatoes and then pierce with fork in multiple places. Bake for 60 minutes. Once done and cooled for a bit remove skin by hand (should peel off easily) Place into blender and puree adding breastmilk or boiling water to reach desired consistency. 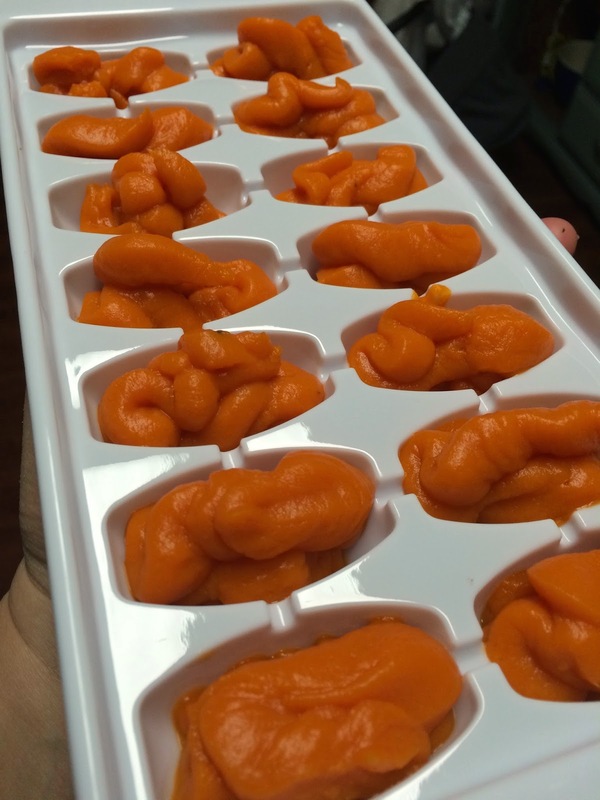 I then took the puree and placed it in a sandwich bag with a corner snipped and piped it into the ice cube trays. Super easy! See you tomorrow for Five on Friday! She looks like she's loving her new food! What is the best way to thaw it out once it's frozen? I use a mini non stick frying pan to defrost and warm the frozen food! Haha love the messy face. Go you with making P. some homemade goodness! Sweet potatoes had been Brynns absolute favorite. Well now maybe chicken takes the lead! She is so stinking cute! Totally jealous of your gorgeous weather! So much snow here right now!